Handmade Detroit | Don’t Forget, Apply Now for DUCF! Don’t Forget, Apply Now for DUCF! 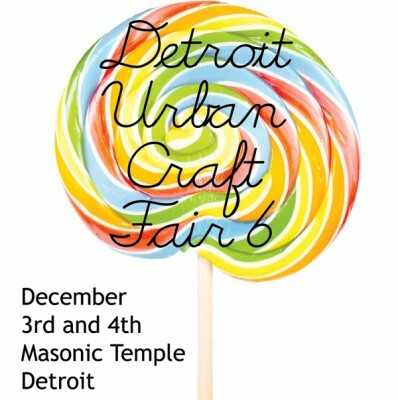 Just a friendly reminder – applications close for Detroit Urban Craft Fair on Sunday the 25th at midnight! We’re seeing some really amazing new applicants this year, and are happy to see some of our local favorites too. We don’t want to miss out on you, though! If you can try to not wait until the last minute (which is, btw, 11:59 pm this Sunday), we really encourage it. This year’s DUCF will be at the beautiful, historical Masonic Temple on December 3rd and 4th and as always, we have some fun new additions and surprises in the works for this, our 6th year! We are especially excited to now be accepting applications for craft food vendors! If you make jams, jellies, candies or any other “pre-packaged” food, we’d love to hear from you. Whether you are a newbie or a seasoned crafter, we strongly recommend that you to read (and read again) all the information in the application and FAQs, where there are some great tips on how to make your application work and look it’s best. Now, go read, take some fantastic pictures, update your product descriptions and hit that submit button soon – we can’t wait to see what you’ve been crafting up for the holidays!